Recently I decided to make a Shop Sign, one that could also serve as a company logo. 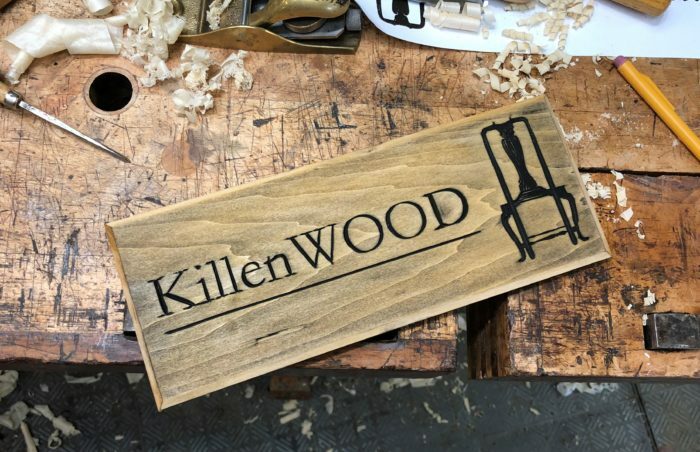 With a combination of SketchUp, an image transfer process, carving tools, and lampblack & shellac, I developed a sign that will work. I created a Playlist of four videos showing each of these processes including the carving and finishing. But it all starts with the design in SketchUp. 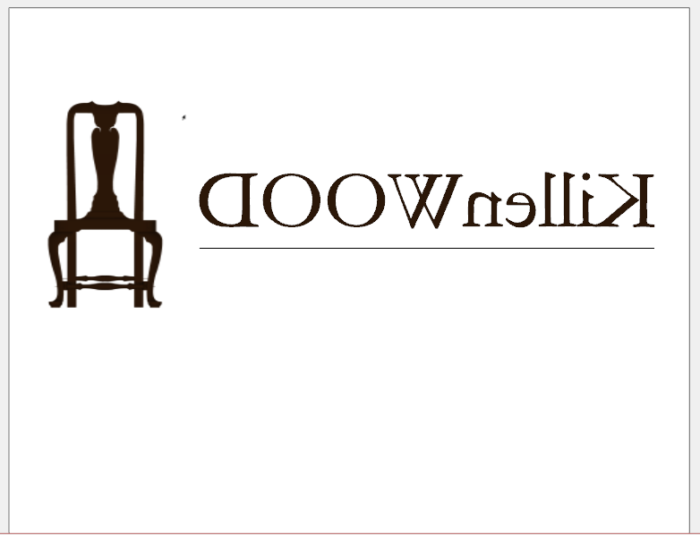 In SketchUp I used one of my chair models as a logo. I “painted” the model black with one click, so it prints the toner showing the whole chair silhouette. Here is the output from SketchUp, a “flipped” view of the design on 8 1/2 x 11 paper. This is ready to transfer to the basswood plank for carving. And here is a photo of the finished sign on the workbench. The lampblack fills the carving, and is mostly removed with sandpaper from the un-carved face of the basswood. I used shellac to stick the lampblack and finish the face of the sign.